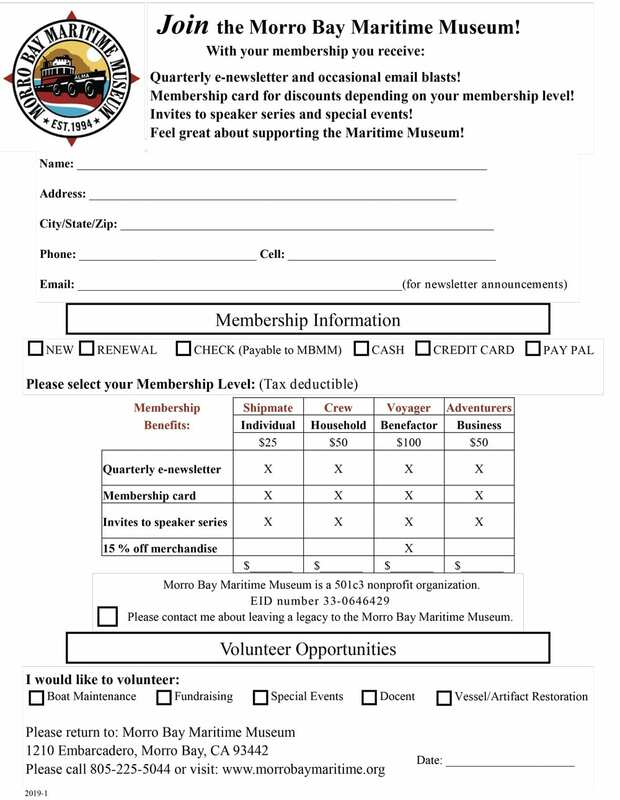 Support the Morro Bay Maritime Museum with your tax-deductible contribution. We depend on generous donations in time and money from individuals like you. We are a 100% volunteer board of directors, and all proceeds go entirely to the museum. CLICK HERE to find out more about how you can purchase a customized brick for yourself, friends or family. Would you Rather Mail a Check?